The Kanda Matsuri Festival is the annual festival of Kanda Myojin in Chiyoda-ku, Tokyo, and performed in May every year. 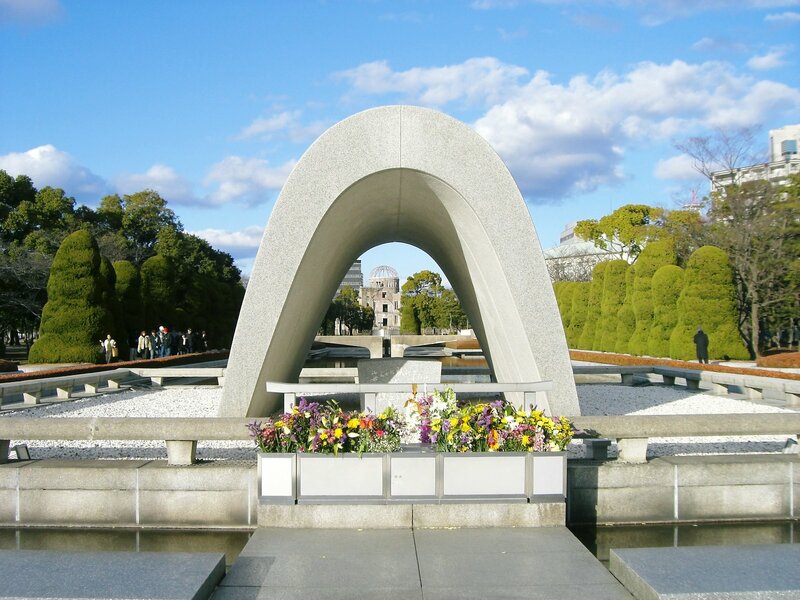 Along with the Sanno Matsuri Festival and the Fukagawa Matsuri festival, is counted by one of the three major festivals of Edo, and it is also ranked in one of the Japan’s three biggest festivals with the Gion Matsuri festival of Kyoto, the Tenjin Matsuri Festival of Osaka. 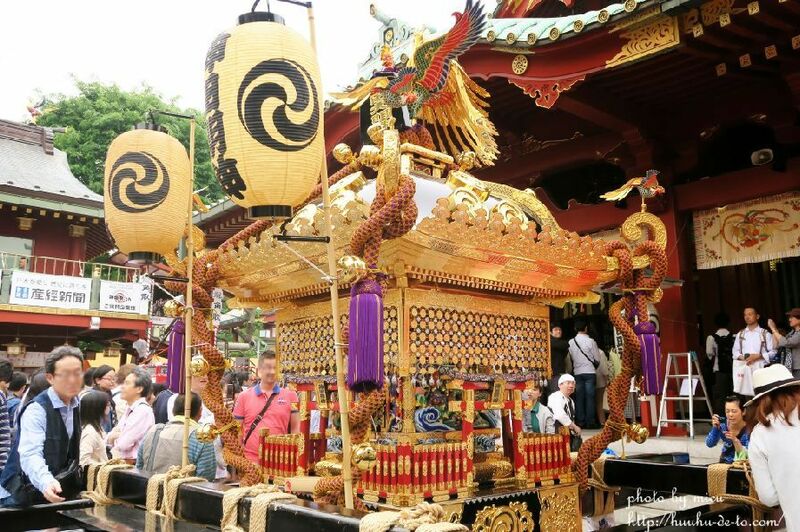 In a grand festival once in two years, the “Shinko-sai Festival”, whic going round the big parade of several thousand scales with the horen (imperial carriage) and the mikoshi (miniature shrine), is performed in the downtown area. And “Mikoshi Miyairi” (the entry of the portable shrine into the shrine’s premises after the visits), which more than 200 mikoshi of different sizes parade with a big shout, is also performed. 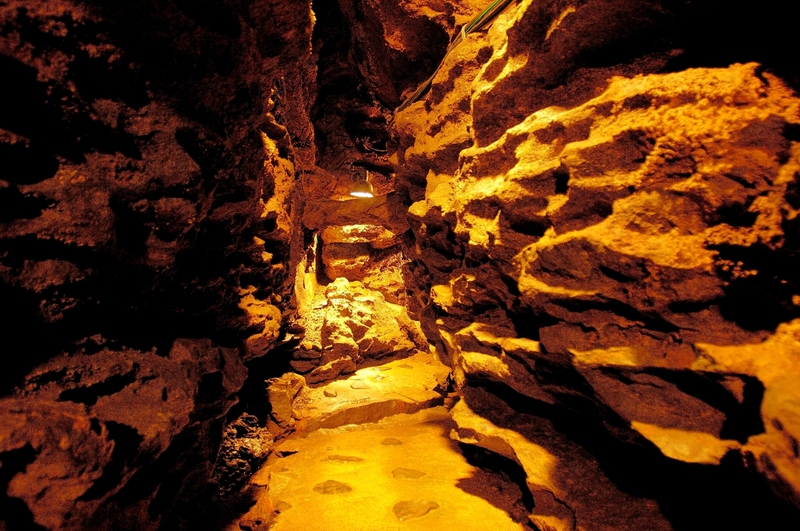 It is crowded with many tourists during the period of the festival over one week. In the “Shinko-sai Festival” being Main Shinto Rituals of this festival, the line consisting of “horen of ichino miya”, “mikoshi of nino miya”, “horen of sanno miya” where there was Myojin on, goes round Kanda or Nihonbashi. 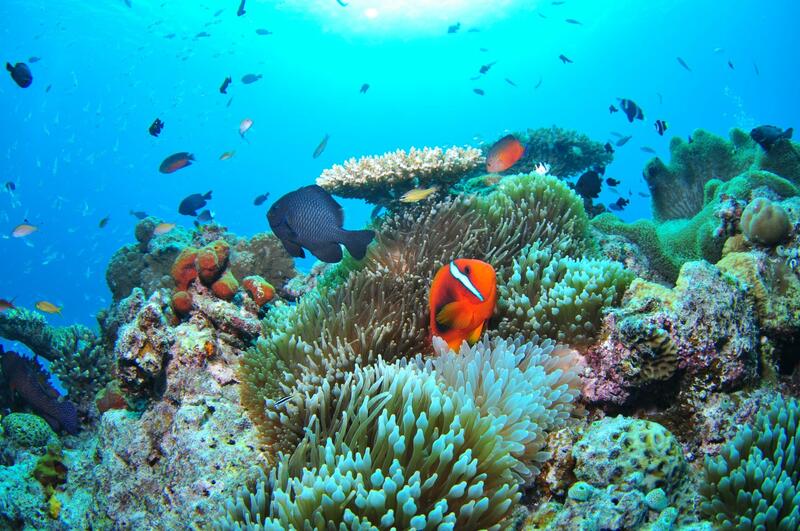 It is a dynamic spectacle. 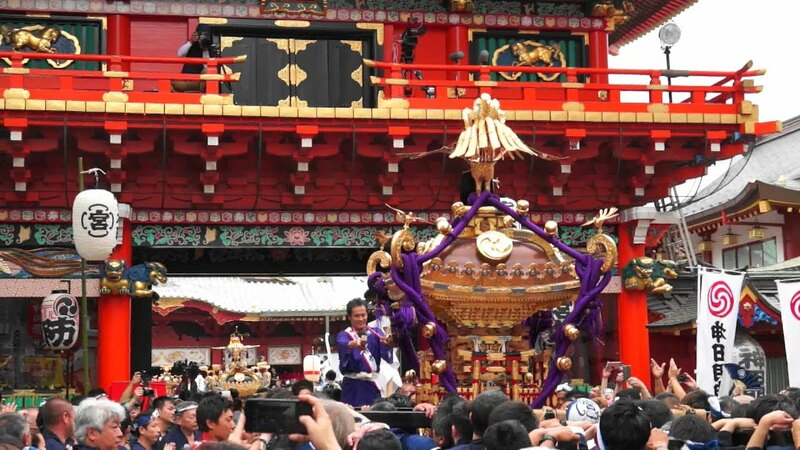 In addition, the “Shinji-noh” (a category of Japanese Noh theater) of the Kanda Myojin’s tradition is seen, and various Shinto ritual is carried out during a period. 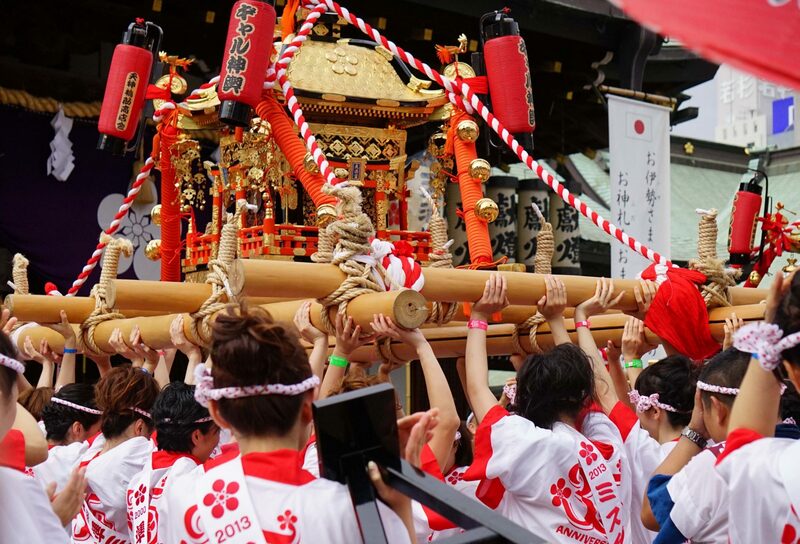 In “Mikoshi Miyairi”, the town is divided into eight areas and each mikoshi is dedicated to Kanda Myojin. 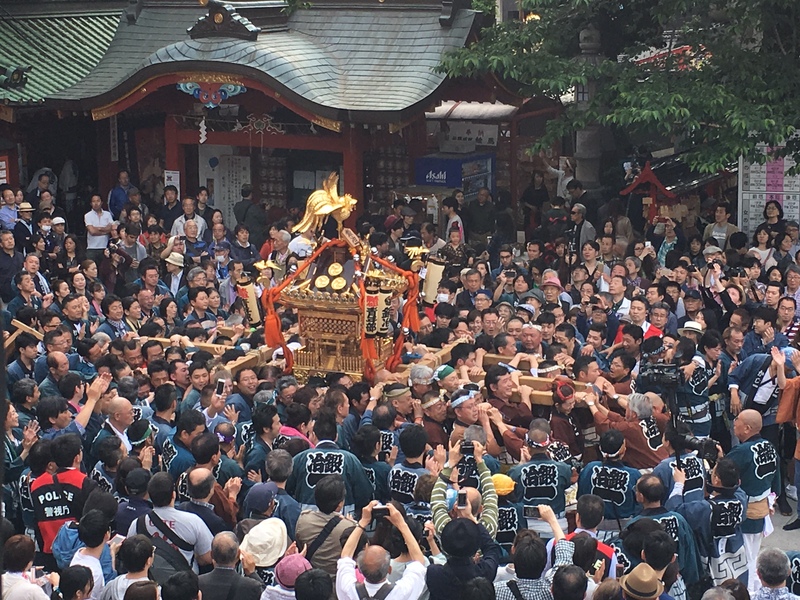 At first mikoshi round each district and leaves afterwards for Kanda Myojin. The mikoshi of each district is spectacular and there are various mikoshis and floats like “Taiko Dashi” (a float of Japanese drum) which succeeds the culture of the Edo period as it was, “Hagoromo Ningyo Dashi” (a float of Robe doll), the woman mikoshi which are shouldered only by a woman etc. Kanda Matsuri Festival is famous now, but actually, does not seem to be known the origin clearly. 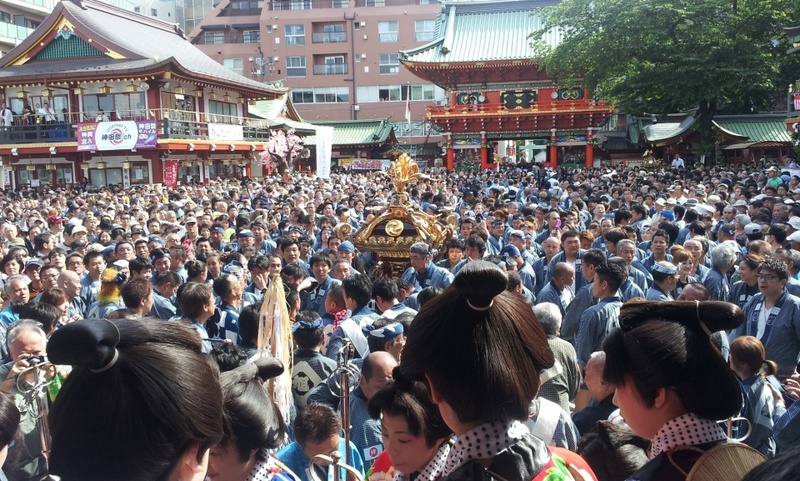 From when did it come to be carried out in the long history of Kanda Myojin? After the Edo era, it became Taisai (Grand Festival) like now, however, it is said that the festival was performed before that.